It felt horrible because I had worked so hard to be truthful and to come to terms of my shame of hiding something that I knew wasn’t wrong … It was a hard balance. What’s more appealing than anything is honesty. … It means a lot of different things. It’s not just 15 years … it’s 15 years of me thinking I wouldn’t work again so it’s really a great accomplishment. It seems to me [The Ellen DeGeneres Show is] focusing more on human interest … I like having real people — not that celebrities aren’t real people — but everyday heroes that would not otherwise get a spotlight shown on them. 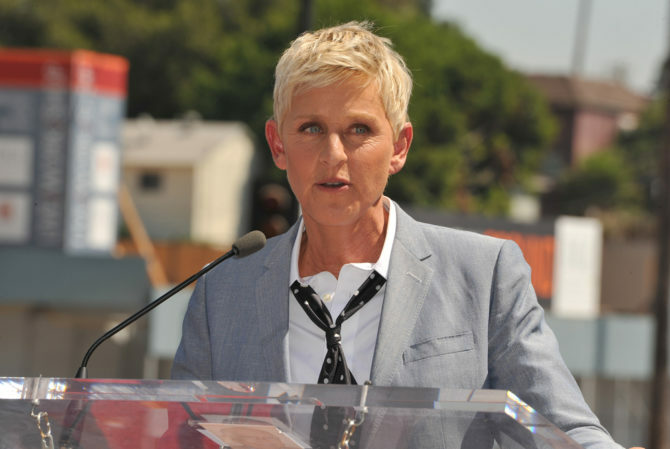 It feels like I’m contributing.— Ellen DeGeneres to Ryan Seacrest on On Air With Ryan Seacrest. Scratch that, every other talk show host but Rosie O’Donnell when SHE had a talk show. I remember she would go right along with people basically calling her superwoman because she worked and was a single mom and she never mentioned that no, her live in longtime girlfriend was raising the kids.